If you’re a fan of podcasts, you may already use iTunes to manage your podcast subscriptions and episodes. If not, you may want to check out the many interesting podcasts available from the iTunes Store, which has the largest available directory of podcasts. iTunes has powerful tools for managing podcasts, and, of course, you can sync them to an iOS device, or listen to them on your Mac with iTunes. Let’s take a look at how podcast subscriptions work, and how you use iTunes to efficiently manage your podcasts. Podcasts are audio or video programs distributed over the Internet at varying frequencies. Some podcasts are simply radio or TV shows repackaged in a format that allows users to subscribe to them, but most are Internet-only programs. They cover just about any subject you can think of: news, hobbies, music, technology, and much more. You can access the iTunes Store’s Podcast section by clicking the Podcasts button in the iTunes Store navigation bar. There are two things that are important about podcasts: first, they are not one-offs, but are produced regularly (though the definition of “regularly” depends on each podcast). Some are updated daily, others every couple of weeks, and the iTunes Store is full of “dead” podcasts, where the producers made a few episodes then gave up. The second thing to know about podcasts is that they are all free, at least all of those provided through the iTunes Store. 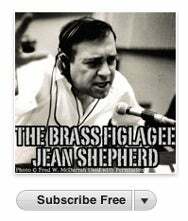 You can get thousands of different podcasts directly in iTunes for nary a cent. To start with, go to the iTunes Store’s Podcasts section and find a podcast you’re interested in. If you’re not sure where to begin, you could try Macworld’s podcast, which is updated once or twice a week. But look for subjects or hobbies that interest you, and you’re bound to find plenty of ideas. Click the Subscribe button to get the latest episode of a podcast, and to subscribe to subsequent episodes. When you find one you want to try out, click the Subscribe button on its page, or beneath its icon in a search results list. iTunes will add that podcast to your Podcasts library (if you don’t see this in the iTunes sidebar, open the iTunes preferences and check Podcasts in the Show section of the General pane). It will also download the latest episode available. If you only want to check out a specific episode of a podcast, you can do so by clicking the Free button to the right of an episode in the list shown on a podcast’s page. You can now listen to, or watch, the podcast in iTunes, or sync it to your iOS device. Sync settings are available from the Podcasts pane when you connect a portable device. Podcasts display in your Podcasts library in iTunes. You can view them by clicking on this library: you can see their names, the dates of the latest updates, and the length of the current episode, as well as a description of the podcast. Click the disclosure triangle to see the episodes you have, and to download older episodes. See all your podcasts, and which episodes are available. You have several options for how you update and save podcasts: to see them, click the Settings button at the bottom of the iTunes window when you’re viewing your Podcasts library. Choose a frequency for updates: every day is probably best, but if you have a lot of different podcasts, you might want to check every hour. Also choose what to do when there are new episodes: Download All, Down The Most Recent One, or Do Nothing. The last option displays them dimmed in your Podcasts library, and you can choose which ones you want to download. Finally, you can choose which episodes to keep. For most podcasts, you’ll probably only want to listen to or watch them once, so you’ll choose All Unplayed Episodes; once you’ve listened to or watched an episode, iTunes will delete it automatically. You can also save the most recent episode, the last 2, 3, 4, 5 or 10. The Podcast Settings window lets you choose settings for all your podcasts, but you can also apply different settings for specific podcasts. Just choose one in the Settings for menu and make your changes. If there’s a specific episode you want to keep, you can right- or control-click on it in the Podcasts library and choose Do Not Auto Delete; this will override any automatic deletion settings you have chosen in the Podcast Settings window. So check out the many podcasts available, and see how many of them match your interests. With the above information, you’ll know how to organize and manage your growing podcast collection.